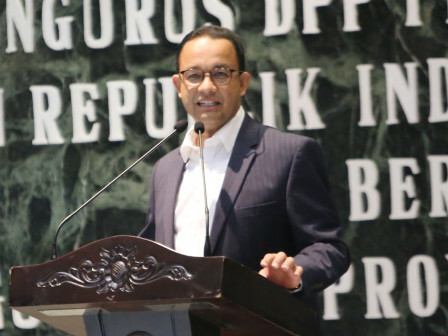 Jakarta Governor, Anies Baswedan wants Indonesian Experts and Lecturers (ADRI) to give a real contribution in realizing qualified human resources (SDM).
" I want ADRI as the professional organization to contribute in improving human resources quality in Indonesia"
According to him, experts and lecturers have a big responsibility in improving human resources quality, especially in this globalization era. "I want ADRI as the professional organization to contribute in improving human resources quality in Indonesia," he mentioned while attending ADRI Association's National Working Meeting (Rakernas). He assessed, education is a way to invest human resources and it is very determining the future of a nation. "I hope there are more college students who can take their roles in public sector. Besides, I hope bachelors could enter government institutions," he explained. He added, ADRI has a role to encourage alumnus to participate in Jakarta development. "There are many challenges in developing Jakarta. Together, let us completing those problems," he affirmed.